Japanese metalcore titans CRYSTAL LAKE have announced their new single 'The Circle', due August 08. Set to feature Coldrain's Masato, the single continues the East Asian band's impressive rise, following a EU headline tour. The Japanese metalcore quintet are having a stellar 2018. In February they toured their home country with Attila before attending Pulp Summer Slam festival in the Philippines. 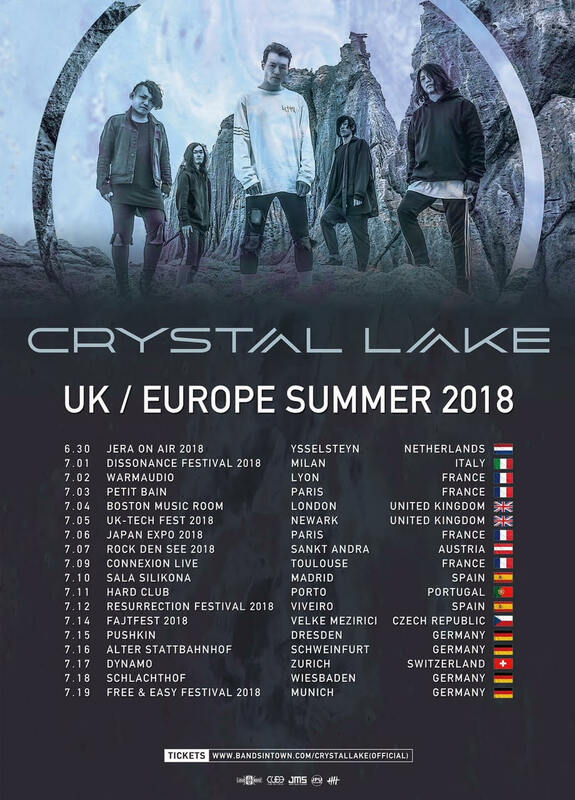 This is to be followed by Crystal Lake's EU headline run which includes UK Tech-Fest, Jera On Air, Dissonance Festival, Rock Den See, Resurrection Fest, and Fajtfest. This news comes after a wave of success for the band. In October 2017 Crystal Lakelaunched their own festival - True North Festival - which included the likes of Fit For A King and Coldrain. In 2016 they released their most recent album True North through Cube Records, Artery Recordings (US), and JPU Records (UK/EU). True North debuted at #1 on the Oricon weekly Indie chart, #6 on the iTunes Metal Chart (USA), and #35 on the Billboard Top New Artist chart.